Our main role is to provide independent reviews of different skin care products that we come across. These reviews are 100% independent – we have no marketing agenda, we just present the facts as we uncover them. Our aim is to give you the truth, no matter who gets offended and without all the promotional hype and aggressive sales. We have exposed some pretty shocking things. Among them include absurd claims of “miracle” anti-aging products, fake and biased review sites that only promote the products they’re selling – to mention a few. That’s why we understand it can be very difficult for you to find what you’re looking for. We know what you want: the facts, the truth and real hard evidence to prove the product does what it says it does. Based on the tough standards we have as well as consumer input, we have come up with a unique and reliable system to rate skincare products. We give it to you directly. A skin care product is either Approved or Rejected. This way, you know what you should avoid and what has passed the test to make it a product we recommend. The skin care and anti-aging market has never been stronger now that online shopping is and continues to become more and popular amongst consumers. But with online shopping and skin care products comes the danger of skin care products scams. We want to educate and warn people about scams and how to identify them. We want to protect you from these money wasters. We also want to help you work out which skincare products are safe, effective and worth what you pay for. There are a number of methods that are used by scammers, and we are able to recognize all of them. When you have been studying the skin care industry for as long as we have, you can easily spot the scams. We’ll take a look at these scams one by one. We hope that we can help you avoid being deceived by a skin care scam, so you can save time, trouble and money. In recent years there has been a flood of free trial scams online, but it appears that the FTC may be getting onto some of the unscrupulous traders responsible. Regardless, there are many of them out there you should watch out for. So how does a free trial scam work? Often there’s a single landing page that offers a “free trial” of a skin care product. They promote their products by using ads on legitimate sites, including ones that we trust. When customers see the ads on legitimate sites, then they make the wrongful assumption that it is recommended by the site. For example, you could be on a very popular and reliable health and beauty site and come across an ad for a skin care product. If it interests you, you will then click on the ad and be relocated to the landing page promoting their “free trial”. Imagine how appealing their offer would be. You think you have nothing to lose by giving this product a go – which, by the way, seems to be the best thing there is for your skin. And before you know it, you’ve subscribed. They word it in a way to get you to believe that you’re just paying a small amount for the shipping and handling. But what they don’t tell you is that you are really signing up for a continuous monthly payment in return. And long behold, they start charging your credit card with the full amount every month. What you thought was a “free trial” – as they had claimed – turns out to be automatic monthly billing. Its extremely hard to get out of it. Some of these products need a one week to one month notice for cancellation. Some companies make it tough to cancel by making their contact information difficult to find so that it is pretty much impossible to get in touch with them. That’s why, among other reasons, we also strongly urge you not to purchase anything from a company that doesn’t display their real address. A current example of a skin care company that uses this scam tactic is Essence of Argan, which offers a 15 day free trial, and once you sign up for it, you’re in for a automatic monthly shipment program charging you the full price. It tells you that if you don’t want to continue you with it, you need to contact them within a certain time period. But its very hard to get in touch with them and many customers have faced a lot of strife making it go away. So you should avoid companies that claim to offer “free trials”, because with it comes automatic billing that you will get stuck in. It’s better to go with companies that provide a one time purchase and have some sort of money back guarantee. Bottom line, never subscribe to skin care free trials. Unfortunately this is quite common, and customers need to discern what can and can’t be trusting when they’re looking at a review of a skincare product. Basically, what skin care scammers do is put up a lot of fake review sites with their products rated highly. These review sites are controlled by them – they review and rate their own products. Innocent customers can stumble across one of these fake review sites, after clicking on a paid ad, or going on a site that ranks high in the search engines. They think they are reading an independent review of a skin care product, when there’s a big chance they are actually perusing a review written by the very person who owns the product. This goes against FTC regulations, because review sites need to demonstrate they are being given a payment with each commission they receive. Fake review sites do not show this. That is one way how you can tell it can’t be trusted, but it’s generally hard to identify by the average customer. The individuals behind these sites are very shady and do all they can to hide what they are doing, but they can sometimes give away things. Often a big hint is the payment processor they are using – all the review sites that review the same products transfer their traffic to the one payment processor. For this we reason, we do our best to conduct detailed research around this, and it will benefit all of us if the FTC can get on top of this. Another thing to keep an eye out for is whether the skin care site displays a legitimate address from which they can be contacted. If they don’t, then it usually indicates they are hiding something; and when it comes to their fake review sites, its the connection they have with themselves. Sites that employ such methods are often US based so they can soon be dealt with by the FTC. For the time being, people need to be cautious of these scam sites. It is not unheard for companies to pay for made up testimonials or to hire actors to make themselves look legitimate and make it seem like their product works on real people. It’s hard to call them out on this one because a lot of the skin care scams just say anything they want about their product. Some use a disclaimer to cover themselves, stating in fine print something along the lines of “results will vary between individuals”. But this doesn’t always happening and there are testimonials out there that are very obviously fabricated that you can’t expect them to be anywhere near real. Often another indication that your dealing with a scam is when they put up pictures of people along its a disclaimer that says “stock photography”. This is a ploy that tries to get you into thinking that the skin care results of their product can be seen in the youthful, radiant and glowing face in the photo. If you come across a site using deceitful tactics like this, then it’s best to steer clear of them. Additionally, if they do not provide you with before and after photos showing the improvements in the person’s face, then this is also likely a strong hint that the testimonial is made up. We have also recently discovered another way scammers falsify testimonials. These are scammers who have websites in different languages. They use the same photos, including before and after shots, and then just change the name and tweak the story depending on the country of their audience. This is not something that you would pick out since you normally don’t check out sites that are in other languages, but we’re starting to look at this more closely now. Sometimes it’s hard to tell whether you’re looking at a fake testimonial, sometimes it’s obvious. But skin care scammers like to use fake testimonials in a convincing way. It’s an advertising technique, and it’s often successful – that’s why they continue to use them. Another scam technique to be aware of when purchasing skin care products online is when companies hide or don’t disclose their complete list of ingredients. You should always be looking at the ingredients in skin care products, but it can be hard to tell what they’re not telling you. When we review products, we look at the whole list of ingredients and can tell which ingredients the sites fail to mention. If a company’s site does not have a full list of their ingredients, or an ingredient list is not accessible, than there’s obviously something that they don’t want you to see. Chances are that it’s a chemical preservative or additive that is a well known harsh ingredient. Numerous skin care companies will use chemical ingredients that are readily available and cheap despite being harmful. The FDA doesn’t have power to regulate cosmetics and skin care companies are free to add whatever they like. That’s why researching into a skin care product’s ingredients are important, which is what we do to help you determine if a product is safe for your skin. If a skin care product site does not clearly provide their contact information, then keep well away from them. If you’re not able to see their address on the main page or the contact page, then forget about it. Why don’t they supply you with their contact details? To make it hard for you to get in touch with them. They do this to skip out on the guarantees and promises they made or to sidestep potential law suits. There are also a number of sites we have seen that display their fulfillment company’s address. 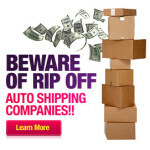 This is the company that ships the product to you, not the scammers themselves. If you attempt to contact the company using this address, you’re just put through to somebody else who won’t have anything to say to you. Bottom line, never purchase a skin care product from a site that does not reveal their real address. 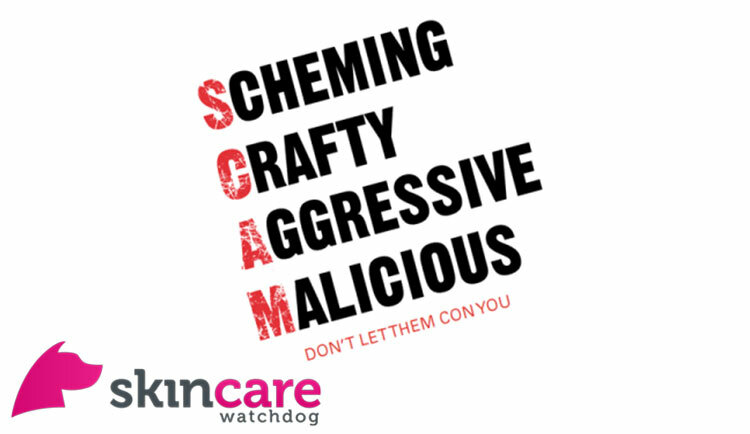 At Skincare Watchdog we are dedicated to exposing skin care scams anywhere. If you have had a bad experience with a skin care company then tell us about it and we will investigate it for you. On the other hand, we approve companies that satisfy our tough standards. None of the skincare products we approve use any of the scam strategies we have described to trick you into buying their scam products. Are you familiar with skin care market? Do you know if they actually sell authorized products? I am curious about skincaremarket also. Are they legit? Are the products true? Anyone know? Report them to the BBB That’s what I am going to do, also try to dispute the charges on your credit card…What a scam… I fell for it too… Dumb!!!! I was on the phone with 2 of these company’s today, which of course, you are put on hold forever. I ordered a trial skin care product for just shipping and handling, then to find out, they started charging my CC company over $130 because I had not sent it back. I was also told that you could not send back if any of these products were opened, how are you to get a trial without opening them to find out if you like them?? ?… I have contacted my CC company and the company I ordered from and it is very hard to try to get the trials credited because in small print after you put your CC# in they will tell you to read to small print.. What a scam and I will report them to BBB If I don’t get these charges reversed!! I fell for it too. Their 10-12 day trial is not enough. They do that on purpose to get money and then come up this no money back because trial period is over. They don’t send out Their carp in time to try it and then they help themselves to a person’s bank account. I was lucky to get my card canceled. I thought my bank would help me out. Was told I agreed to terms and conditions so it’s not fraud. I don’t recall reading any terms and conditions or I would have seen this recurring charge thing they are doing to people so yes it’s fraud in my books and most definitely a scam . The bank needs to read all reviews and you can bet if it happened to any of them it would be quite definitely a different story. Let’s put this cream scam bunch out of business! I rec’d and RETURNED four (4) SKINCARE envelopes marked “RETURN TO SENDER” and they still chartged me $182.48!!! (The BBB could not help me. (In California). Neverr again wlll I order these items on the internet. They are a real scam. WOW DID I GET SCAMMED. I ordered two bottles of the eye cream and face cream for $1.99 for a one month free trial. At day 14 and 15 they charged me $97 TWO TIMES. They used two names to charge the two charges even thought I only ordered through one phone number. Also, I never went thru a website. They claimed to have charged me because it is written on their website. I never went to the website and they never told me they were going to charge me. I went to my bank and filed a dispute. They are liars. The customer service man spoke such poor English I could not understand him. I am furious with myself for not googling them before ordering. Everybody needs to beware of these scammers. The best advice I got was to change my Mastercard to prevent any further charges. I would guess that even if I call them they would put me on “Infinite Hold” -the old “Your call is important to us BS! I did not order the product and even worse, I did not RECEIVE it! They are crooks and will not even give me a partial reimbursement. I had the same problem with RadiantSkin and GlowSkin from Revivasol. Paid $4.95 and ended up costing me $500. I didn’t catch the charge because I had been in the hospital. When I did, too late for me to cancel or my bank to credit. NEVER order the free or low cost samples, ALWAYS a catch. Using PayPal prevents them from getting access to debit or credit card. Paypal gives you 6 months to get refund. Just be careful when being redirected to paypal. Make sure that there is the lock and all is in green. Call your credit card company to block future payments to the company. I did and it worked easily. I had tried to cancel with the company itself and was not successful. So the credit card company even reimbursed me for that month. They may try billing under a different company name but the credit card company can be on alert for that. Worst case, the credit card company can close your acount and issue you a new card with a new account number. Hope this helps! I was on a site that showed Ellen Degeneres, Julia Roberts, Oprah Winfrey, Eva Longoria, Michele Obama, and Jennifer Aniston giving testimonials on a skin care product called Borealis anti Aging cream. The sample was free and shipping and handling was $4.95. I entered relevant info and my credit card info and the charge on the last page summary was $8.93. This was distressing and I questioned whether I had missed a charge so I backed up to the advertisement and all of the same stars were on the exact same ad but now the product being advertised was Revyve Skin care. Exact same online ad with a new product sibstituted within each testimonial. I scrolled down and it said to call customer service at this number. No number was listed. I immediately called my credit card company, cancelled my card and they issued me a new card. The sample arrived a week later and instead of the natural products that were touted by the ad, the main ingredient was water followed by a lot of chemicals. My credit card company had given me a phone number and I called that and offered to send a check for 4.95 for the sample but they would not allow me to send a check. I wonder if these re known individuals are aware that they are being used in skin care scams. Revyve Skin will offer you 1oz.of Advanced Ageless Cream for 1.00.Then they bill your credit card 89.95 plus 6.95 to ship.Unaware I would b charged anything more than 1.00.I was billed by young Face Forever877-998-5226 in CA. Was offered refund of 50%.Beware……. Anyone heard of ReVivskin fountain valley ca? I for one believe they do. I honestly mean no harm but all of the above mentioned ladies really look aged and I think withoutI makeup they may not look very appealing so as to sell the public MAKEUP. Lighting the correct makeup and the right color clothing can fool anyone. Christie B. Has a joker like appearance when she smiles and her tight skin looks like injections and she looks aged just like the rest of them. Maybe some women want to look like little baby jokers. I just fail to understand why women would fall for a product where the seller is afraid to show her b a r e face and r e s u l t s in a timeline. Watch these women on their commercials and your can see how they have aged and there is nothing wrong with aging it is the inevitable.Like Cindy C. She looks aged and they taught her agent a few more words which I was glad to see and hear because that one word response had me sitting up in church laughing. I got scammed about 20 years ago by one of those “free trials just pay postage” deals, and got charged $186.00. It was so long ago I don’t remember the company, but I do remember the burn of that scam. Since then I never order anything that says “free trial, just pay postage”. I figure, if this is such a great product, there’s gotta be a better way of getting a hold of it. Since that time I have become an avid online shopper. With the internet, I now have more inside info at my disposal. If a company even dares to show contact info, I see if I can actually contact them before doing any actual business. Also, before I plunk down one penny, I read all the reviews from unbiased parties I can find. One way I determine if the reviews are unbiased is by their web address. Underneath the title of each article is a web address printed in green. (I’m pretty sure it’s ALWAYS in green). If that web address or referring party contains the name, or any part of the name of the product, I consider that a biased endorsement from the seller and NOT an innocent buyer. Also, I run their names through the BBB, Scambusters and Ripoff Reports. All of them may not have relevant info, but at least one of them may give you a lead. It never hurts to check. Besides, that gives your emotions time to get in check. NEVER BUY ON AN EMOTIONAL HIGH. If it’s meant for you to have, it will be there when you’re ready to buy. So, today I discovered a new way scammers are drawing people in: Sometimes I read the gossip columns to follow the celebrities; no harm in that, right? This morning I saw something about the Brad and Angie divorce. It started off like a legit article, talking about the fight over the kids, and how Brad was never going to let Angie have full custody. Then it went to how Brad was so angry about Angie spending so much time working on her skin care products that she didn’t have time for the kids. ??? This “article” slowly evolved from explaining why they were divorcing, to touting Angie’s wonderful skin care line, Aqua Revive, or whatever it’s called. The more I read, the more it was about Aqua Revive and how you can get a “free trial, just pay postage”. . . Hmmm . . . So in the end, it does help to know as much as possible to keep from getting bamboosled. After all, it has been proven that “knowledge is power”. I ordered a free product from KIARA and they charged me $2.00 for the free trial. When I got the product there was 2 bottles of cream and the box. I had ordered the little vile of eye serium for my bags under the eye where they apply and fan your face and all the wrinkles gradually disappear? Well I knew they sent me the wrong thing when I looked at the face creams, so I just set it aside unopened and figured when I had time I’ll try to get them to send me the correct serium. About that time I received another box of the same products and again I didn’t open them. Inside was nothing but a bill for $2.00 which was charged to my VISA. Nothing else, no letter, nothing about they fact that they would charge me if I didn’t return it within a certain amount of time, etc. Long story short….after receiving that 2nd box, I thought I’d better check my VISA account. Well guess what??? They charged me $100 for EACH BOTTLE!! So altogether they charged me $403.39!!! The only contact info I had was an email to customer service which I emailed expaining my shock at what they had done. After several emails between them promising me that if I sent back the products by Jan. 14th to a P.O. Box, and they were unopened, they would give me a 100% refund. So I took time off work, took the product down and shipped it off just in time and it got there on Jan. 14th. Today they called me and said they received the product and are prepared to reimburse me $97.00. I said, “You charged me $403 and you promised me a full refund! ?” They said I must have misunderstood and hung up on me. I still haven’t received even the $97.00 the agreed to! Banks are closed today, but I’m going to see if they can help out with covering my expense from the fraudulent company. Also going to contact the Attorney general’s office for consumer complaints. Borealis definitely a scam. Do not purchase the free trial. The mediocre product will cost you nearly a hundred dollars and you will continue to be charged for a monthly subscription without any notification. I was notified of my shipping confirmation initially and then received a second shipment about 6 weeks later. When I called, I learned I had been charged 3 times once for not returning my “free trial” and then for the shipment I received and the upcoming shipment. A refund was not an option according to the person o spoke with on the phone. Very shady company with no way to order the product without signing up for this so called free trial. Don’t do it! Why are these scam still working? No one from the government is really doing anything? It is clearly a scam yet it works? Seems like it pays to be a thief! Telling people is already too late! Must make them pay fines and jail time! A crime can’t never be paid especially when we know who done it and has proof of it!!!! I was scam by Chantel St Claire! Have ;you looked into Predire? I have a client who got completely ripped off by a company in California selling a so-called “miracle” serum called JULLEN, ILLUJEN and RESTORIA. The products are probably filled with chemicals! No surprise since they don’t disclose the ingredients deck anywhere… They also have numerous fake websites and fake reviews for the products. She was enticed by a $4.95 trial and now she’s being charged $89 per month and she hasn’t even received the product. The company also does not provide any contact info. These scam artists need to be shut down by the FTC. So sad that they take advantage of unsuspecting customers this way. I’m just wondering what you know about the company named Hermetise??? I can’t even find the products anywhere online but Their own website but I did find a shop! They are super expensive but have wonderful reviews!! Any thoughts about this? I fell for these scams by ordering 3 different products because I thought I’d just give them a try and pick the one I liked the best. You can quess what my bank account looked like!!!!! I recommend at the first sign of a large charge to call your bank and report the scam and then change your card number. Also i discovered if you use a gift card credit card and order the trial, they can’t put through those large charges. They are denied for lack of funds. I feel a small victory. Beware of Decollage Institute” Got scammed there with “Free Trial” Same ploy: After you put in your CC number, they tell you in fine print that you will be charged. They will refund 40% of the charges if I promise not to sue” Class action suit anyone??~!! Just scammed for almost $400.00 after ordering free-trial products ($5.oo s/h) from getskinbalance.com Of course, did not realize the membership I was buying and my need to cancel it within 14 days. Live and learn. But, now I will never order anything via the Internet, which may hurt some legitimate companies. What about the product L’AVEU skin care from the dead Sea sold at Sams club? Infinite Beauty selling products like Apeiro in shopping malls is a big scam. Beware. The best advice I got was to change my Mastercard! I was charged $97.47 and $99.31 which MATCHES what others have been charged! My bank told me that my case was NOT fraud since by ordering the “samples” I had given these crooks access and permission to charge my credit card! There was no product shipped to me after the miniscule samples. They get away with this fraud and it’s a harsh lesson for the consumer! Anyone familiar with Naomi skin care? Have information on Pure Ignition Plus? I can’t find a phone number and have a charge on my credit card. got charged hundreds andhundreds by BRIGHTEN B.S. THEY WONT CANCEL OR TAKE RETURNS, SENT ME OVER 40 BOTTLES OF STUFFI’LL NEVER USE.. HATE THEM, HATE THEM DO NOT………..ORDER FROM THEM……………..E.V.E.R.